It’s no secret that I could eat kale for days, and this taco salad remix is another ideal veggie-packed lunch. 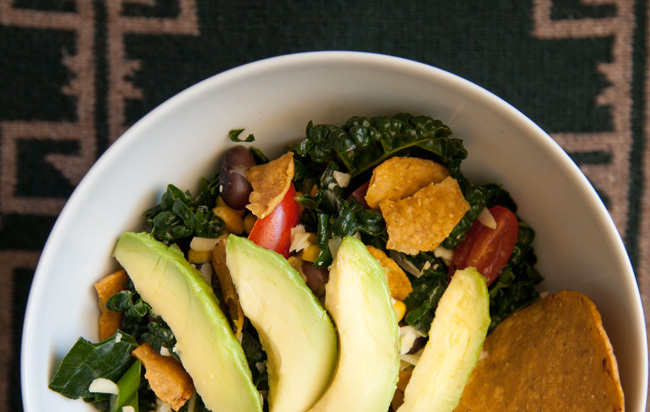 I’m always looking for some satisfying crunch factor, and this gets it from both fresh kale and crispy tortilla chips – balanced crunch! Another nice bonus is that the hearty kale greens keep fresh for days, so it’s a great make-ahead solution to set yourself up for lunchtime success. If you want to keep things light, you can use an extra squeeze of lime juice as your dressing, but both vinaigrettes and creamy dressings work well here. I packed these for my work lunches to eat 4 days in a row, so I tried it all. My very favorite was when I added some diced leftover chicken breast and dressed it all up with some specialty oil and vinegar that I was gifted from the lovely Baker & Olive here in San Diego county (Persian lime olive oil and serrano-honey balsamic vinegar… yes, OMG). Very much worth a trip if you’re looking to spoil your foodie friends! A big bowl of the good stuff – let’s hear it for balance! 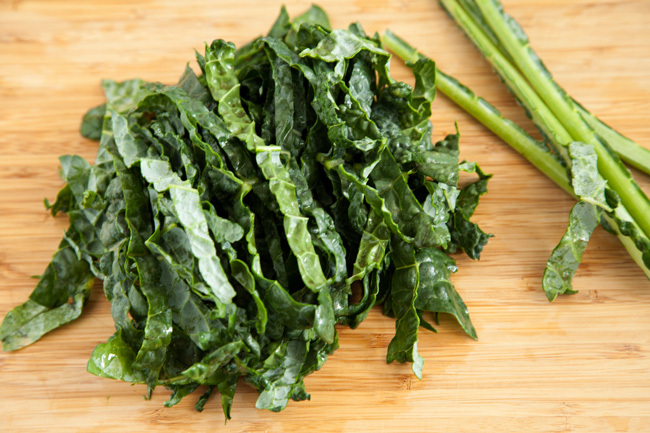 Remove the thick ribs from the kale leaves, and shred the greens. Place them in a large bowl, top with the lime juice, olive oil, salt and pepper. Use your hands to massage the kale greens to tenderize and combine with the dressing. Add the black beans, corn, tomatoes and green onions, then toss to combine. 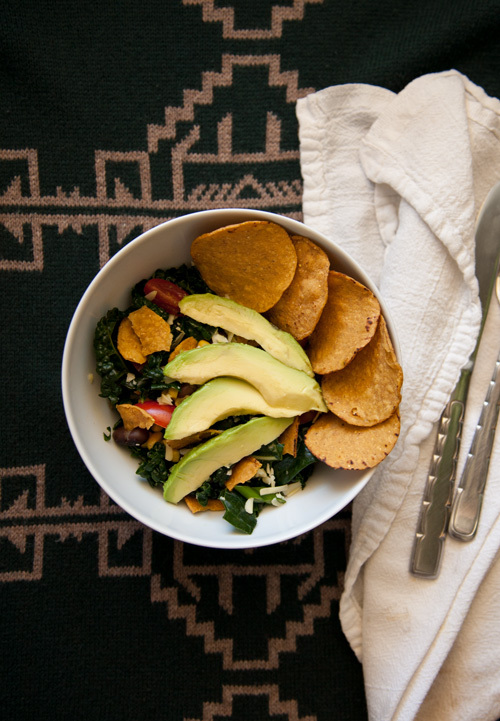 Divide the salad into 4 servings and top each bowl with cheese, avocado, tortilla chips and dressing immediately before serving. Toss it all together before eating for best results. haha, I love the name of this salad! Looks delicious! This salad is awesome, creative and beautiful and I can’t wait to make it! Thanks Caroline! It’s super simple but sooo addictive.